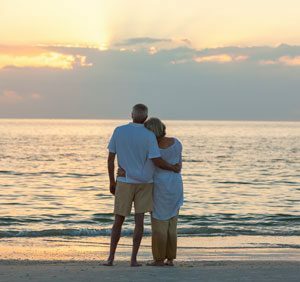 We all know about the amazing summers spent on the Outer Banks, frolicking under the warm sun, splashing around in the refreshing Atlantic and spending warm nights under the stars Barbequing with friends and family. Labor Day use to mark the end of the “busy” season here on the beach but each year, the peak season seems to last a little longer and the fun continues later into the Fall. You would have never guessed that roughly 20 or so years ago after Labor Day the Island was completely vacant… Only a very small few knew the secret of how special the Outer Banks is once the sun begins to set a little earlier, the nights grow a bit cooler, the traffic subsides and each person you pass you know by name. Slowly but surely it seems that the long kept secret of winter on the Outer Banks is out and we couldn’t be more thrilled to share our special slice of heaven with you! Show Me the Winter Rentals! Many people still don’t know what to expect from winter on the Outer Banks so let me paint a picture for you! Imagine, starting your day first with a cup of locally brewed fresh coffee and taking it down to the beach, that’s right some days are still warm enough that with the proper bundling or garments you can enjoy a sunshine-filled stroll down the beautiful coast collecting more seashells and sea glass than would have ever been possible during the summer months! Shell collecting becomes one of my absolutely favorite hobbies during the winter months, there is something so serene about taking a walk down an empty beach, feeling the sun on your face & watching it glint off the water while the bird’s perform a private concert just for you! Days are blissful but the nights do get a little colder. Visualize yourself cozying up with loved ones in front of a fire, drinking hot cocoa, snuggled up in the blanket you purchased at one of the many unique boutiques that are only on the Outer Banks, listening to the mighty melody of the oceans roars in your extremely well priced Ocean Front cottage! 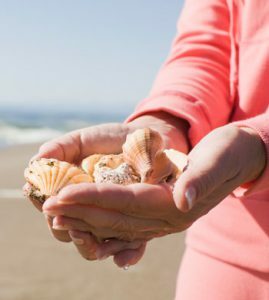 The winter season is the BEST time to find shells! No lines! Visit the grounds of your favorite spots like all the amazing Light Houses, or the Wright Brothers Monument without having to wait in those long hot summer lines! Most of Your Favorite Restaurants are still opened with NO WAIT and delicious menu items. Holiday shopping, Tree lighting ceremonies and Parade events are a must! Bird Watching at Pea Island and of course FISHING!!!! 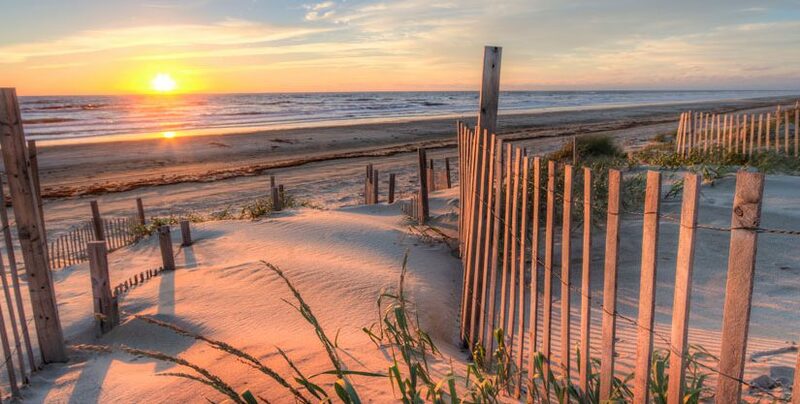 Peaceful time spent on reflection, the Outer Banks is one of the most premiere spots for artist to get away and focus on their work; whether you’re a writer, painter, photograph or musician the solitude and beauty of each day is just what you need to inspire your next piece of work! Enjoy a relaxing soak in the hot tub while watching an unparalleled Outer Banks sunset from your vacation rentals deck. Witness the possibility of snow fall on the SAND! Due to our sunny days it melts quickly but it sure is a site to behold if given the chance! Take a walk around Historic Whalehead club in Corolla and see it completely decorated with a Christmas tree in each room! Did I mention, the AMAZING DEALS and LOW LOW PRICES!! So what are you waiting for? Check out our winter rentals OBX page to find your hidden treasure.